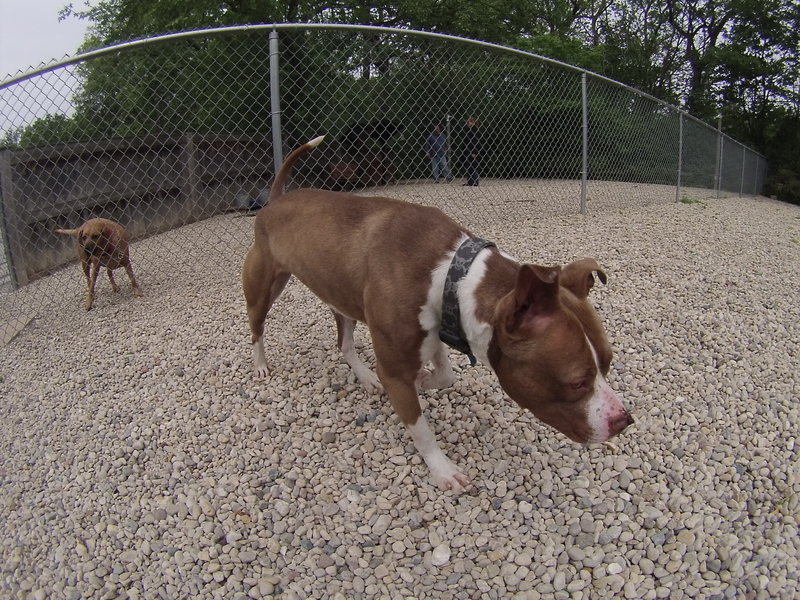 The dogs at Orphans of the Storm® were the first test subjects for my new wide-angle lens camera, so thank you in advance for bearing with me as I figure out how to compose these shots over the next few weeks! 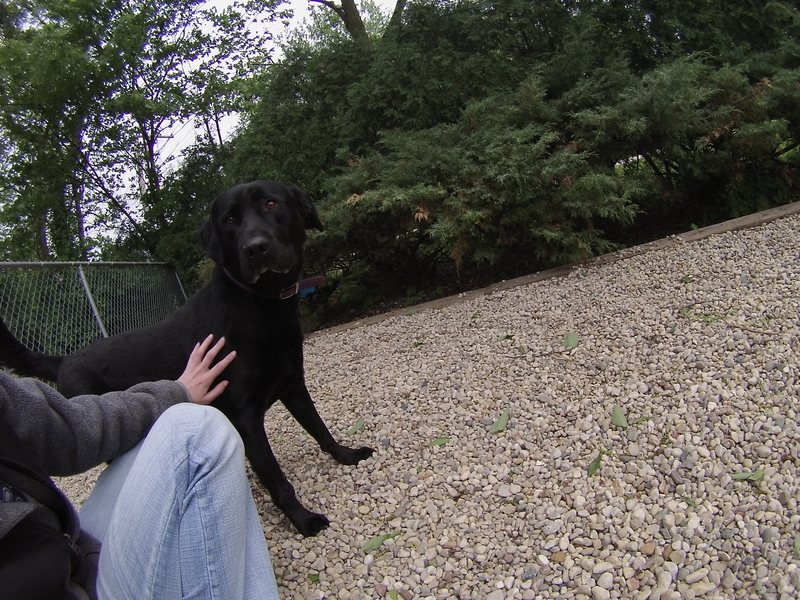 Sharkie the two-year-old black Labrador Retriever mix found himself at Orphans of the Storm® because his original family’s new baby ended up being allergic to dogs. The bright side of this is that we know Sharkie is good with kids and would fit right in with a new family. As I say every time I write about Labs, there’s a reason why they’re the most popular breed in America–they’re so friendly! Sharkie was very energetic when we first started on our walk and was eager to run and play. Funnily enough, when I let him loose in the off-leash run, he calmed down and took his time following his nose around. When I’d kneel down next to him to pet him, he’d put his nose right in my face and eventually gave me a couple doggy kisses. On our walk back to his kennel, he was a much better walking buddy. In fact, if I stopped walking, he would stop and sit at my feet! If you’re looking for a good boy who gets along with people of all ages, come in soon to meet Sharkie! Lisa the three-year-old Pit Bull Terrier mix was pretty nervous when she first arrived at the shelter, but now she’s always happy to go for walks and meet new people! Lisa has the cutest perky ears that sometimes point straight up to the sky. She was pretty good at walking on the leash and seemed pretty friendly with other dogs when they sniffed each other through the fence. Lisa is a very affectionate girl. She likes to give doggy kisses and also likes to snuggle whenever the opportunity presents itself. When I joined her on the bench, she laid down next to me, resting her head on my arm. When she sat up again, she scooted right beside me so I could keep petting her. Stop by the shelter soon to see if Lisa is the couch-sharing pooch for you! 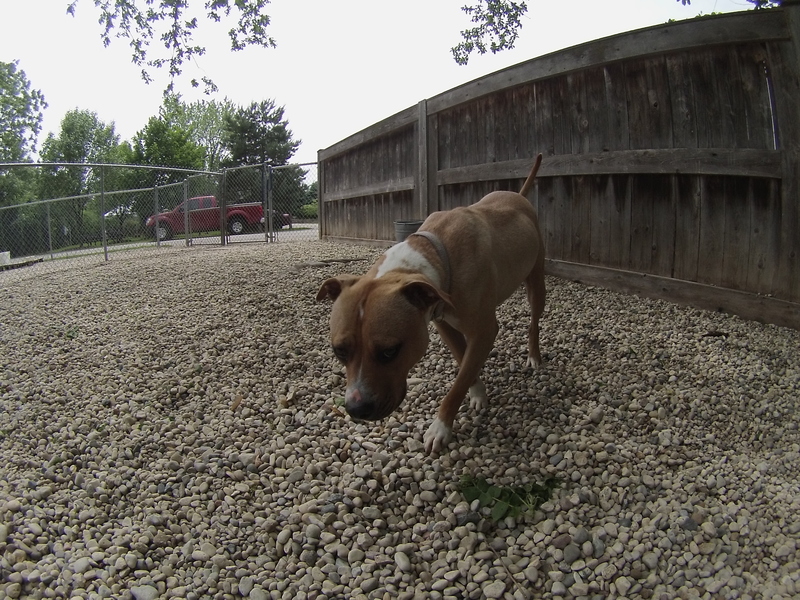 Ginger the two-year-old Staffordshire Bull Terrier mix is a happy, friendly girl who loves to be with people. 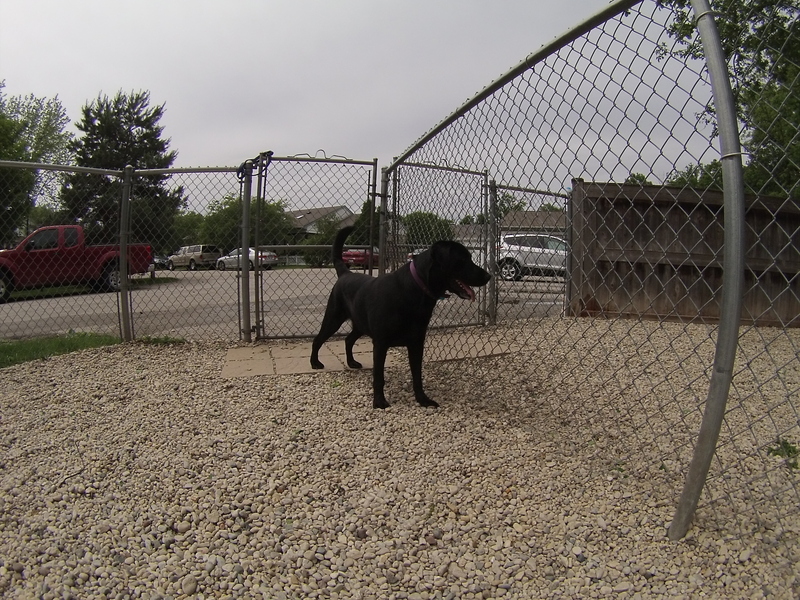 When I first stopped by her kennel, her entire body was wiggling because her tail was wagging so much. Then, as soon as she got out of her kennel, the first thing she did was give me and another volunteer doggy hugs. We went on a fast-paced walk (more like a run) to the off-leash area. Ginger is another pooch who likes to shower her people with affection. She’ll gladly stay by your side while you pet her, and give you doggy kisses as thanks. Although Ginger is a big fan of being with people, she isn’t such a fan of other dogs and would like to be the only dog in her new home. 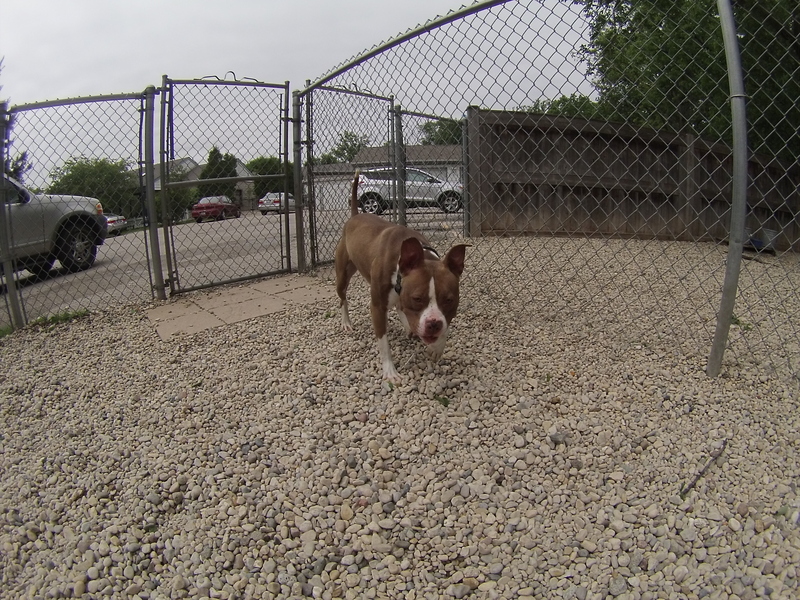 On your next visit to the shelter, be sure to say hi to Ginger, who will enthusiastically say hello back! I also saw Blush (who is the best walking buddy), Cooper (who is so snuggly), Diamond (who loves to play), Hachi (who gives great doggy hugs), Heaven (who has plenty of energy), Joy (who is so sweet), Shasta (who is such a good girl), Smoochie (who is always eager to go for walks), Zak (who is such a gentle boy), and Zoey (who loves to fetch). Posted by Meet the Pooches on June 5, 2015 in Dog Profiles and tagged adopt, adoption, animal shelter, animals, Chicago, Deerfield, dogs, Labrador Retriever, Orphans of the Storm, pets, Pit Bull Terrier, Riverwoods, Staffordshire Bull Terrier.